I have some big news that I wanted to share yesterday, but Halloween celebrations got in the way...I am a Ruby Rock-It designer! The announcement was made yesterday. You can see the rest of the team and a project from each of the team members HERE. I am so thrilled and can not wait to get started! The kit is available now, so run over and get one HERE. and i must say this is also my favorite layout of yours this month!! it is simply stunning!! way to go Rebecca!! CONGRATS!!! I'm looking forward to working with you! this layout is AMAZING! I LOVE the rays--very clever! Congrats on the new DT, Rebecca!! I can't wait to see you use more of their products. 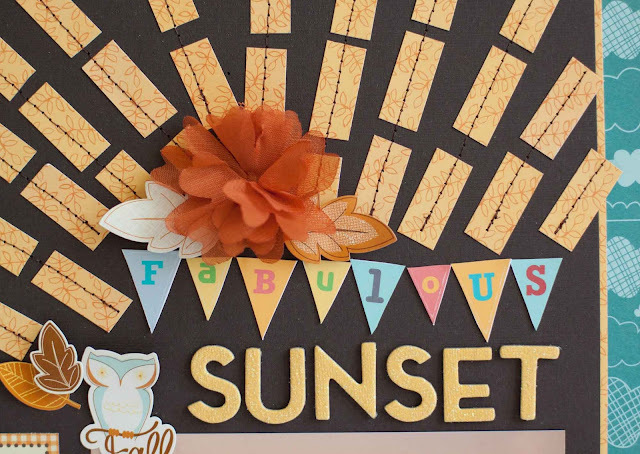 And I adore the sunset layout, it's just gorgeous. WOOHOOOOOOOOOOO wow Rebecca that is the best news!! CONGRATS, stunning layout with that gorgeous photo as well! Just what dt are you NOT on! I really don't know how you keep up, but it's awesome! Congrats! 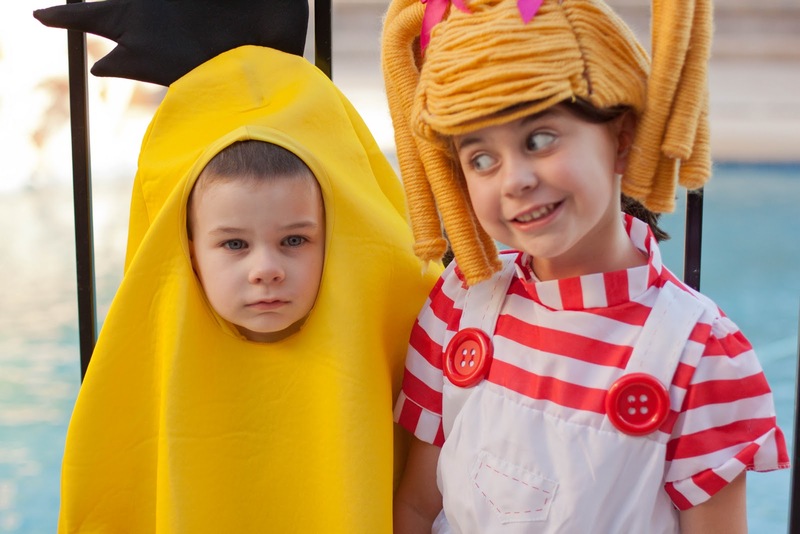 And those kiddos of yours in the costume pix... totally crack me up. So seriously funny! 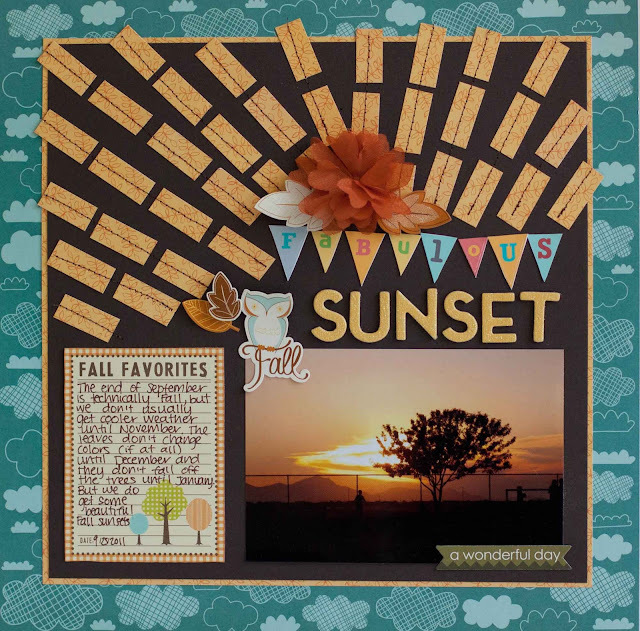 Love that gorgy sunset page too, Rebecca! Wow!! What fabulous news!! Congrats girl!! 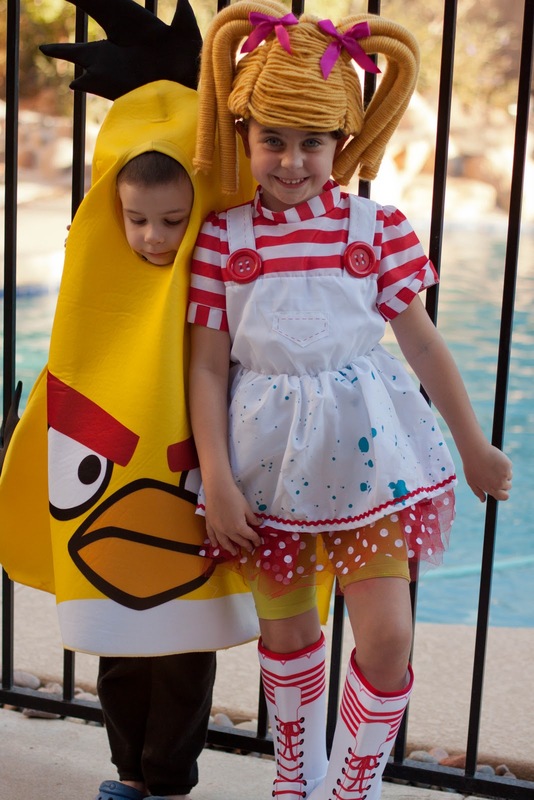 LOVE the pics of the kids and their costumes! How cute would it have been to have our 2 LaLaLoopy's together? Why can't we live closer? 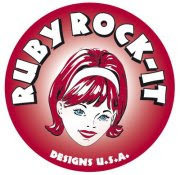 Huge congrats on making the Ruby Rock It DT! They have some really cool lines out right now! 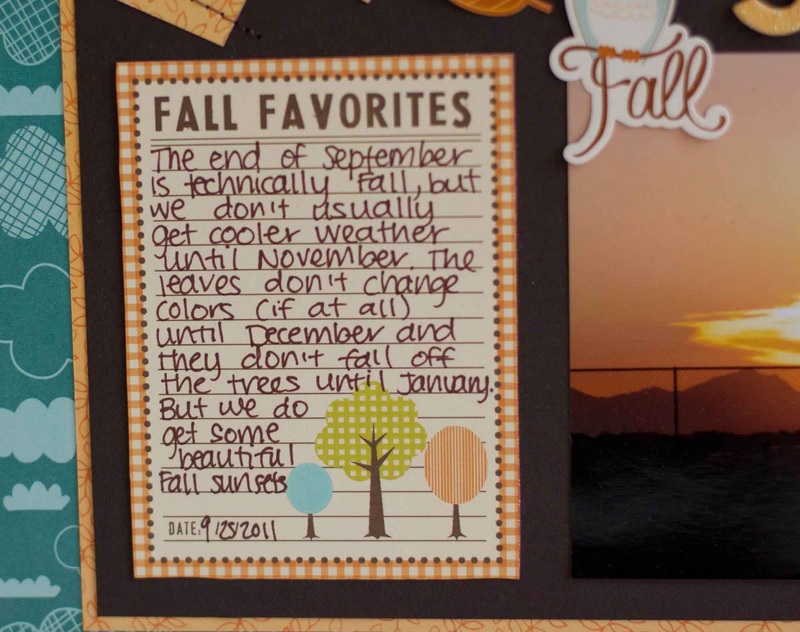 Love what you did with the Nov. kit too! So creative! HUGE CONGRATS Rebecca, happy to have you on the team. Congrats! That layout is FABULOUS!!! 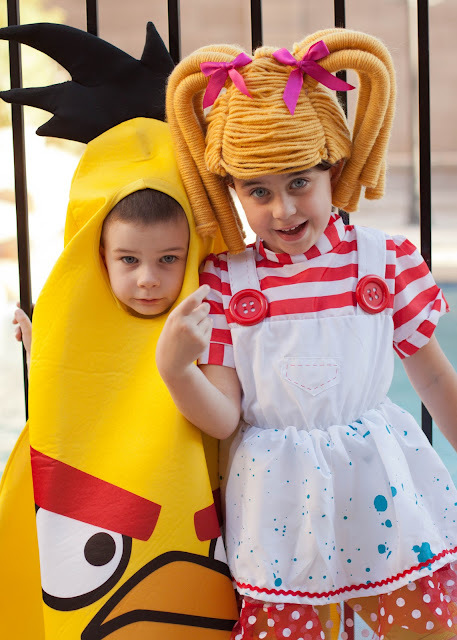 And such cute kiddo costumes! WTG!!!!!!!!!!!!!! I don't visit in a week and see what happens ;) congrats! Looks like a fun team and great papers!